The Princess mine, Moina, originally known as Urquhart's Claim after the original lease holder, is located on the northeast slope of Dolcoath Hill, overlooking the Cethana dam, part of the hydroelectric scheme on the Forth River. 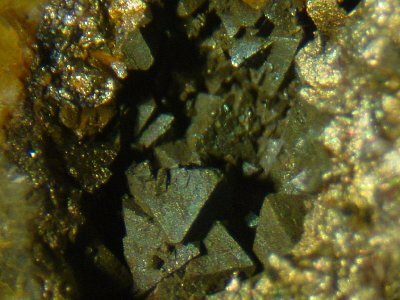 It is one of a number of mines in the region that have been worked for tin, tungsten and/or bismuth. The largest of these is the Shepherd and Murphy mine. Other mines include the All Nations, Dolcoath, Sayers (well known for its beryl), and Pig and Whistle. The deposit was discovered by Warwick Castle in 1908, but mining activity ceased around 1918. Seven exploratory trenches were originally cut, but little of value was found. Warwick Castle himself controlled the mine for a while and extracted wolframite and bismuthinite, the only two minerals noted in the Catalogue of the Minerals of Tasmania. 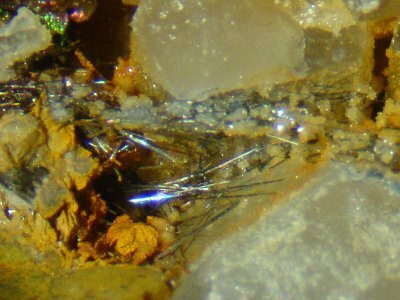 This mine worked two well defined veins up to 200 mm wide, containing bismuthinite and wolframite in a quartz matrix, with topaz and fluorite, in pegamtites near the top of a biotite granite host (Reid, 1919). 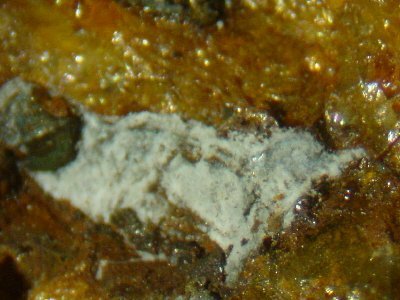 Bismutite, tungstite and ferritungstite were also recorded in the oxidised zones. Bismuthinite reportedly occurred in long bladed crystals and delicate acicular forms. Numerous small wolframite-quartz veins occur in the quartzite overlying the granite. High quality smoky quartz crystals to 150 mm long, some enclosing bismuthinite and wolframite, occur in the lodes. The deposit has been developed in a shaft, open cut, adit and trenches, and proved the lode continuous over 100 m vertically. Recent years have seen the mine being worked for mineral specimens, mainly topaz and quartz, and is currently under lease and being worked by John Wilson and Richard Wolfe. There are three levels of workings still visible, with most activity centered around the top and bottom levels. The top level consists of a small adit that has to be pumped out before entering, where pockets of clay can provide some stunning gemmy blue topaz crystals.